A Prenuptial Agreement is a contract that predetermines how certain issues will be resolved if a divorce arises from your marriage. This contract overrides the divorce laws. In essence, you are creating your own ‘laws’ just for you. Essentially, before you are married you work out your financial issues. For example, if one spouse is bringing assets or property into the marriage that they already have, how will that be split up upon divorce? Also, will a spouse be entitled to support (alimony)? Does the Prenuptial Agreement Cover All Issues? No. A Prenuptial Agreement does not work for any issues affecting a child of the marriage, such as custody, visitation and child support. A Prenuptial Agreement, however, can cover just about any other issue. Are All Prenuptial Agreements Valid? 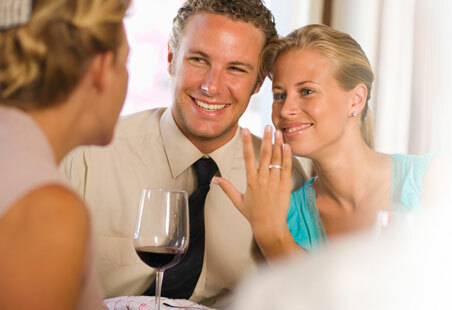 • Both spouses must make full financial disclosure to each other of their income, assets, property, debts and expenses. • Both spouses must be represented by their own independent lawyers. • The Agreement must be signed no closer than ninety (90) days before the wedding. If these three criteria are met, then so long as the Agreement is not ridiculously unfair to one spouse, it is likely the Agreement will stand up in Court as valid. What If I Have Met Two of the Three Requirements? Courts are currently quite stringent on the financial disclosure and separate attorneys factors, but are less strict on the ninety (90) day waiting period. How Do I Raise the Subject of a Prenuptial Agreement to My Fiancé? Very gently! Any mention of doing a Prenuptial Agreement can lead to a big series of arguments. Don’t just blurt it out. Think it through and have a thorough and kind explanation ready as to why you feel you need one. I suggest that you make it clear that you intend to live happily ever after with your fiancé and have zero expectations that the marriage will ever fail. Thinking about having a prenuptial agreement for your marriage?